Learn more about the cultural, historical & religious traditions that call Israel home through a unique, one-of-kind Shabbat experience. Observe the Shabbat ceremony along the Western Wall together with thousands of worshippers who have gathered to welcome the day of rest. Then, participate in your very own authentic Shabbat dinner at the home of one of Jerusalem’s families. Authentic Shabbat dinner – Enjoy authentic Israeli food while you celebrate Shabbat in the home of a local Israeli family. Shabbat ceremony – Welcome the Jewish day of rest as your participate in the Shabbat ceremony in the heart of Jerusalem. 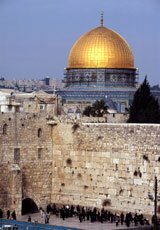 Western Wall – Surrounding the Temple Mount, see the remains of this ancient wall which are now a sacred site for the Jewish faith. The Shabbat refers to the Jewish day of rest, recognized each week from just before Friday’s sunset to Saturday evening. During this time, worshippers reflect on those six days where God created both heaven & earth. The Shabbat is a time of celebration & prayer. On Friday evening, candles are lit, & many gather on the Western Wall to welcome the Shabbat. 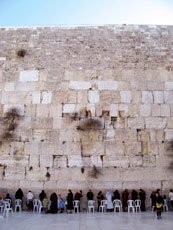 Part of your tour experience will be learning more about the Western Wall, also known as the Wailing Wall, an icon of the Jewish faith. 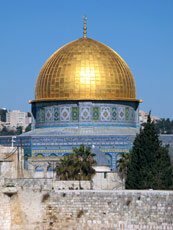 This ancient wall runs along the western side of the Temple Mount & has long been site for prayer for the Jewish faith. Afterwards, you will head to the home of the local Jersualemite, where you will celebrate the Jewish culture through food. Feast on cuisines made from a variety of traditions & communities.